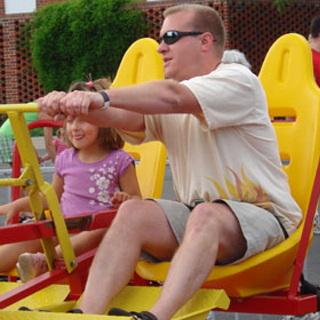 Our G-Force Wizzer carnival ride will bring the carnival to your event! Riders sit four to a pod and use a lever to push and pull themselves into a dizzy frenzy! The faster you pull the lever, the faster you spin in circles! Always entertaining to watch people try and walk afterwards!